Aruba access points (APs) are deployed in a wide range of wireless LAN (WLAN) environments world-wide. They are well known for their excellent coverage in central and remote sites, locations with high concentrations of Wi-Fi clients, indoors and outdoors, and harsh industrial environments. 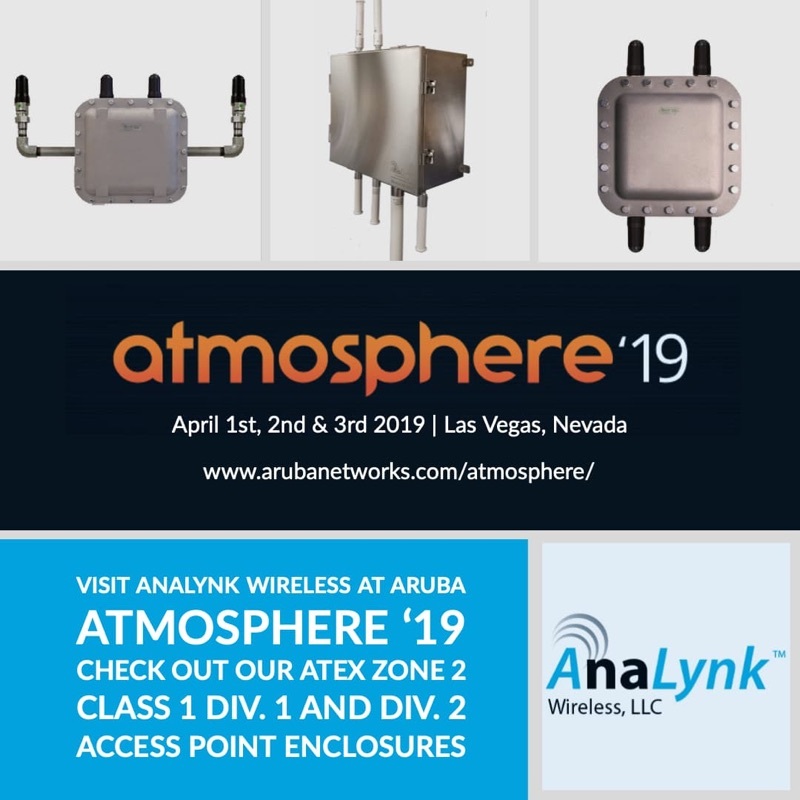 Analynk will be exhibiting their line of Class 1, Division 1 and Class 1, Division 2 Hazardous Area Access Point Enclosures designed for Aruba products. Please make a note to stop by and visit us!